Even though not the largest and most expensive this reflector telescope has given me some good results and is most reliable in important tasks such as tracking, guiding and polar alignment. The tube itself is made of aluminium there fore the weight is not of an issue. The finder scope at the top is of good quality and the rings hugging the telescope provide pig-backing screw for deep sky photography. 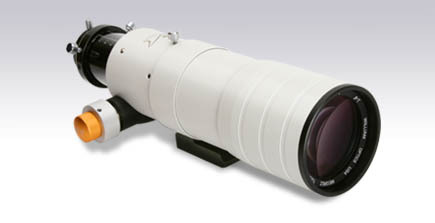 The tube diameter is 6 inches (150 mm) and has a focal length of f/8 (1200 mm), providing together with the 10mm, 25mm and Barlow x2 lenses a magnification of 300x. The collimation with this telescope is made very easy both for primary and secondary mirrors. The Sky Watcher EQ6 Pro mount is the best largest mount considered to be mobile enough carrying it around. It is a very stable mount and definetely suited for astrophotography. By making a rough polar alignment and by aligning afterwards to three stars you get enough precision to point towards 13,400 objects on the night sky. It got PEC-training, and adjustable slewing speeds. The mount is controlled through a hand controller (SynScan) and got complete database of the IC, NGC and Messier catalogues. The total weight of this mount is 23.7 kilograms. 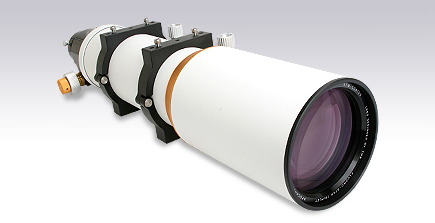 SkyWatcher EQ6 Pro supports heavy equipment such as large refractor telescopes. Megrez 72 FD APO is a very suitable telescope that can also used for wide field photography, such as M31 (Andromeda Galaxy), clusters, nebulas, etc, as well as a guide telescope. Easy to handle as it got a crayford focuser which is an appreciated focusing mechanism for fine adjustmens. Like all other William Optics refractors it also got a built-in dewshield cap you pull out avoiding moistrure on the front lens while observing. FluoroStar 110 FLT APO. This refractor is the best you can aqcuire for the money. I’m very pleased about the results on this one especially on distant objects. Like Megrez 72, it got a build-in dewshield cap and a crayford focuser. Canon EOS 50D. This is the DSLR camera I’m using currently for astrophotography and a good upgrade comparing to my old 300D. I have compared it to the most common cameras used within astrophotograhy such as Nikon’s D70 which is also known as the “Star eater” due to technical problems of automatical dark frame substraction causing stars to be analyzed as hot pixels and there fore removed from the original. I personally am fan of Canon cameras (Besides their Japaneese CEO is also an astrophotographer). Click here for specification details. Canon EOS 300D Digital Rebel. This camera is truly the best instrument I’ve got in my hands for a fair price. I found it by placing an announcement in fotosidan.se and after a recommendation by two experienced people (one in photography and the other in astrophotography) pointed me to this camera. After the purcase I had to make a firmware upgrade in order to get a mirror lock up and avoid vibrations during short exposures (such as the moon or sun) and also acquire the needed ISO of 3200. 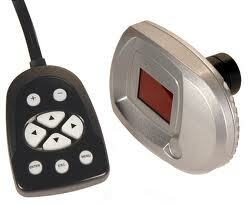 The firmware upgrade specifically to this camera was developed initially by Victor Lushnikov and can be found here. Celestron NexImage Solar System Imager, is nothing else then a sophisticated webcam modified to suit astrophotographers. 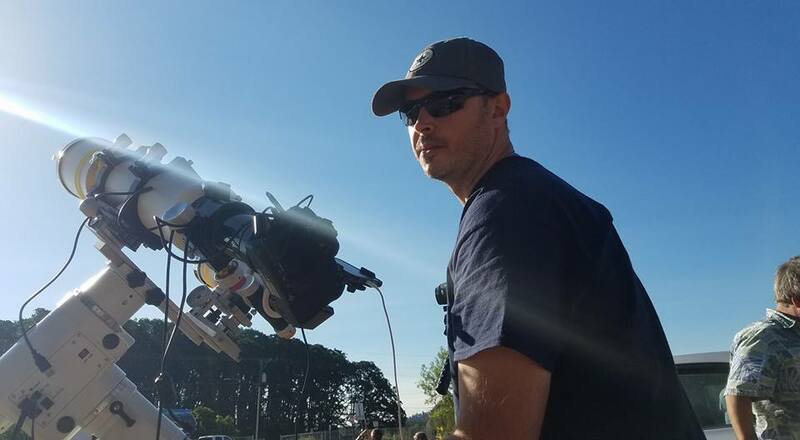 It captures live images from planetary objects and filters frames/images that have poor quality and selects clear frames ready to be processed either to a movie or stacked into one single photo. This piece of eqquipment is a must if you wish to record planets, the moon or even the sun. Skywatcher’s Synguider is a fantastic tool when it gives you the opportunity to focus on other tasks while taking long exposures towards the night sky objects. The principle is basic. 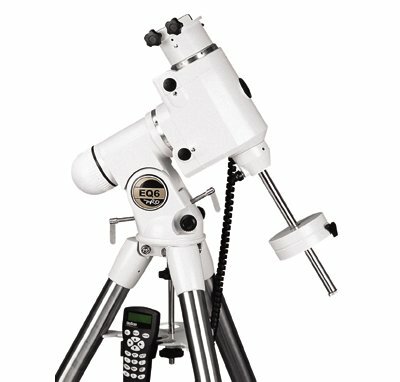 You attach this device on your guide telescope, center a star and it keeps track of this star centered by giving commands to your Skywatcher mount. Easy! Watch this video. 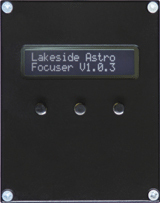 Lakeside Astro Focuser is a fine focus panel that connects to a motor and comes from UK. It is possible to connect it to a variety of telescopes and is a necessity when it comes to astrophotography. It is also possible to connect the hand controller with a PC adjusting focus through a software, meassuring backlashes and changes in temperature. wow. me and my dad want one just like this!! we live where we can see stars very clear. we only have a bonocular. I just like the helpful information you supply to your articles. I will bookmark your blog and test again right here frequently. I am somewhat sure I’ll learn lots of new stuff proper right here! Good luck for the following! Have you ever thought about including a little bit more than just your articles? I mean, what you say is valuable and all. But just imagine if you added some great visuals or videos to give your posts more, “pop”! Your content is excellent but with pics and clips, this blog could undeniably be one of the very best in its field. Fantastic blog!